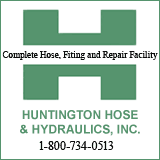 HUNTINGTON, W.Va. – Marshall University celebrated its new Brad D. Smith Business Incubator at a ceremony in Huntington. The business incubator space, which is being renovated, is on the first floor of the university’s Visual Arts Center at 927 Third Ave., across from Pullman Plaza. The incubator is a partnership between the Marshall University Brad D. Smith Schools of Business and the university’s Robert C. Byrd Institute (RCBI), and is expected to begin accepting tenants in August 2019. Entrepreneurs will be able to apply for a space in the business incubator to help them cultivate new ideas aimed at growing the local and regional economy. The facility will offer mentorship and support to startups, and will give entrepreneurs access to Marshall’s innovation ecosystems, including subject matter experts and student interns. The incubator also will provide tenants with office space, storage and access to conference rooms. 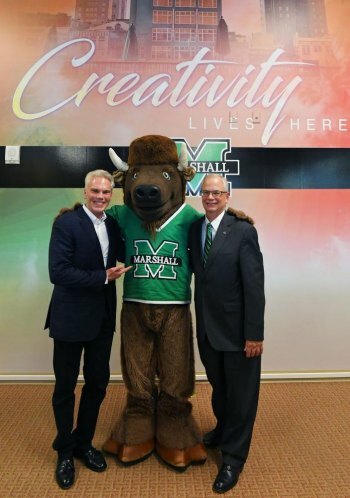 The facility is named for Marshall alumnus and benefactor Brad D. Smith, executive board chairman of Intuit and chairman of Nordstrom, who believes West Virginia and Marshall are breaking new ground with the creation of the incubator. Gilbert added that free space in the incubator will be provided to the team of Marshall students that won first-place in the recent statewide West Virginia Innovation & Business Model Competition. The second-place team, also from Marshall, will receive free prototyping assistance from RCBI. Dr. Avinandan Mukherjee, dean of Marshall’s Lewis College of Business, said one of the biggest challenges in the Appalachian region is creating a culture of innovation by promoting entrepreneurial thinking and scalable startups. Dr. John M. Maher, Marshall’s vice president for research, and Charlotte Weber, director and CEO of RCBI, agree the business incubator will be a great resource for Huntington and throughout Appalachia. Weber said she believes it will serve as a magnet for the creation of startups by leveraging RCBI’s Business Accelerator and state-of-the-art prototyping and advanced manufacturing services. Applications for incubator space will be available in early June. To learn more about the Brad D. Smith Business Incubator, visit www.marshall.edu/incubator, call (304) 696-6273 or e-mail incubator@marshall.edu.